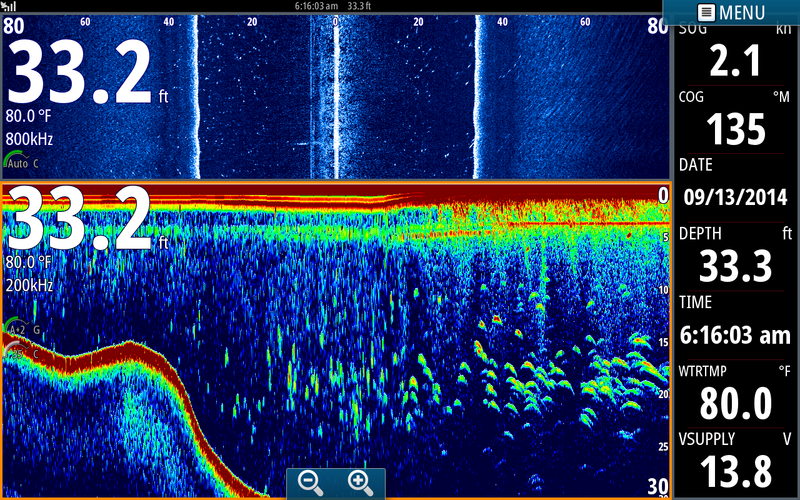 Here is a school of Herring I was throwing on in the morning. I was also catching some 3/4 pound Crappie on the outer edges of the school of bait. As I was running back to the marina to pick my clients up I took this shot. These were a whole lot of small Stripers suspended off of a 15 to 20 foot flat. 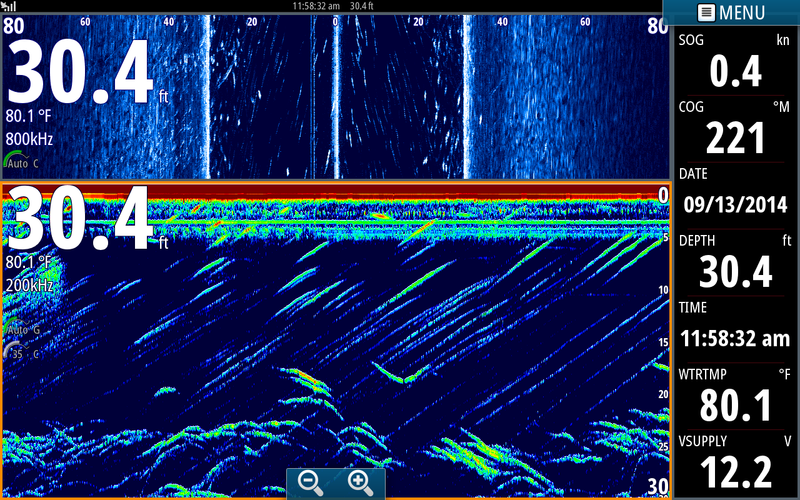 I was running about 25 mph and saw the fish on my sonar in the middle of the screen. As I slowed down I realized what they were hurried back to the marina. By the time I picked my clients up and got back to the spot they were nowhere to be found [Over deep water]. I eventually located them up on the shallow flat feeding in water less than 20 feet deep. This is another pic of a school of small Stripers that were feeding. We had downlines down at 24 feet catching punk after punk but caught keepers on free lines thrown out the back of the boat with one split shot on the line. This pic was popped a couple minutes after the picture above this one. 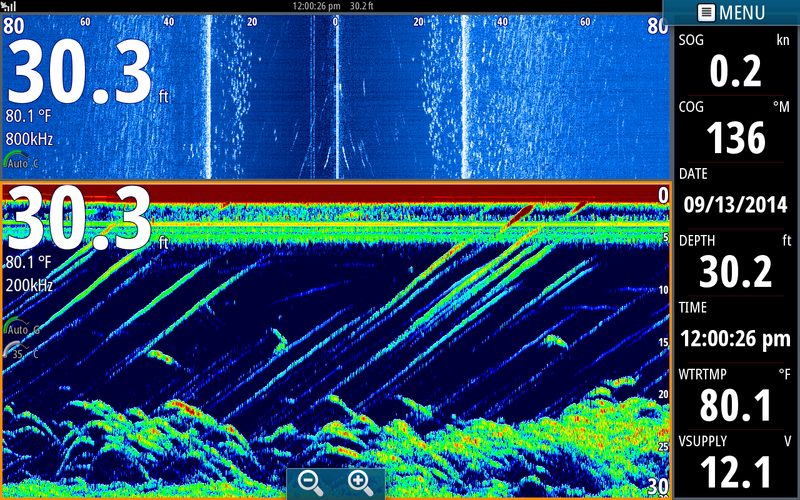 I was just in front of the school of Stripers and was going over the bait that the fish were feeding on. Notice all the small dots on the side scan screen. 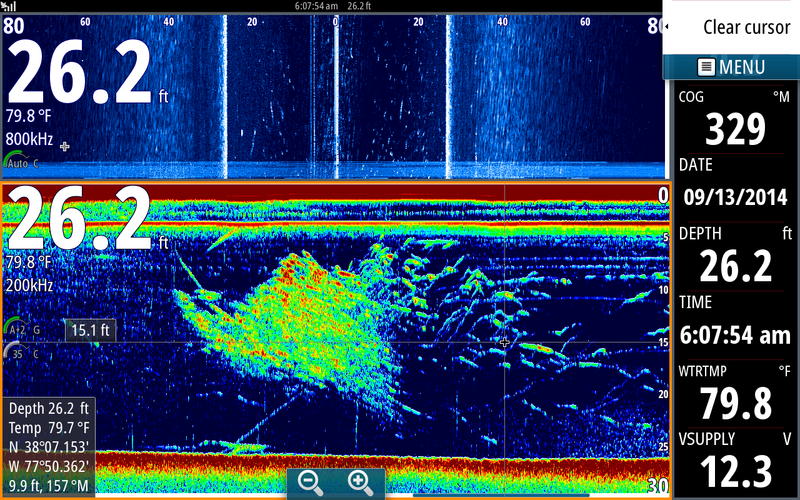 The Stripers herded the bait to the surface and fish were blowing up all around the boat. Again the free lines paid off in the blitz.